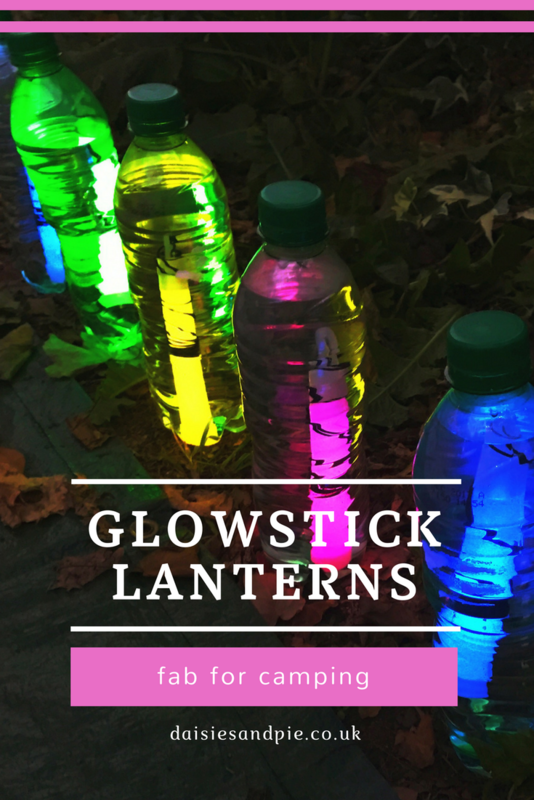 We just love these glow stick lanterns. They’re so quick to make, gorgeous bright colours and make a great little decoration for when you’re camping or out in the garden on summer evenings. Fill the bottles with water. Get the glow sticks glowing and then push it into the bottle and screw on the cap. Arrange as you like – they make a great edge decoration for pathways or around the front of tents so that you can find yours in the dark. You could buy a huge 5 litre bottles of water and put lots of glow sticks in them and have them at the garden entrance. They also make a great little night-light inside the tent if you’re camping with kids. You can also turn these lanterns into glow up skittles and play garden bowling.